In this Instagram photo shared by Ed Sheeran September 2013, he shows a collection of Martin guitars which he has toured with over seven years. The left-most guitar is a Martin Steel-String Backpacker Acoustic Guitar. 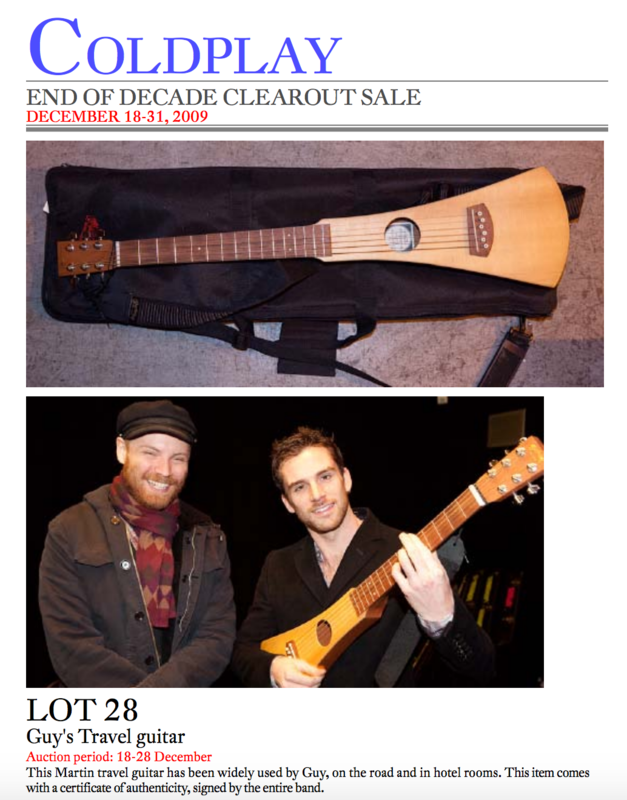 He captions the photo, "7 years of touring"
Guy Berryman's Martin Steel-String Backpacker Acoustic Guitar can be seen in [Coldplay's End of Decade Sale catalogue](http://www.originalprop.com/public_html/coldplay/Coldplay-End-of-Decade-Clearout-Sale-Charity-Auction-eBay-Memorabilia-Catalog-Portal.pdf). The details of the item are the following: > "This Martin travel guitar has been widely used by Guy, on the road and in hotel rooms. This item comes with a certificate of authenticity, signed by the entire band." 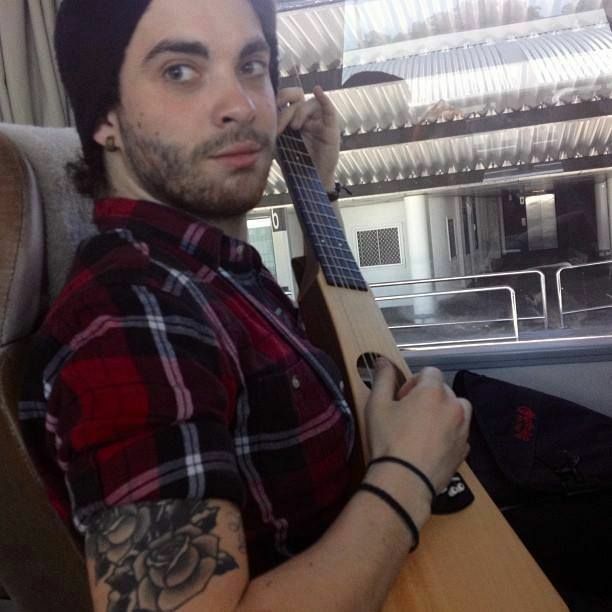 In this photo, one can see Taylor playing a Martin Steel-String Backpacker guitar. GuitarPlayer.com states: "Armed with a MIDI-equipped Martin Backpacker guitar, two Roland GR-30 guitar synthesizers, Yamaha EX5 and ES Motif synthesizers, and a Kurzweil K2600 keyboard, Anderson is criss-crossing the globe, performing Yes and solo works in Ray Davies’ Storyteller format, and enjoying the freedom and flexibility of his one-man performance so much that he plans on making it a core component of his career in the future." In this live gear list, one of the things that was mentioned in his rig is the Martin Backpacker. According to Guitar Geek's rig diagram, Finck uses the Martin Backpacker, which is tuned to DADGBE. Zayn states in an excerpt from his self titled book: "Back in the city, we were hanging out one day, shopping for musical instruments, and I told Malay that I wanted to play a lot more guitar. That’s when he told me about the Martin Backpacker. "It's a little travel-sized thing," he said. "You can take it anywhere, it's the size of a backpack. It's like a mini-guitar." When we found a shop that had one, I bought it, and I loved it from the minute I started playing it." Sounds amazing, plays amazing, feels amazing. Light, portable and great for when you want to bring a guitar on the go. Definitely recommend.